It’s a bold claim to make given the long-running JRPG franchise by Bandai Namco has arguably seen a steady decline in narrative quality for some time, but even released among a sea of high-profile Japanese video game releases, Berseria stands out for its captivating tale of vengeance, frantic real-time combat and fantastic cast of characters who aren’t your everyday heroes. 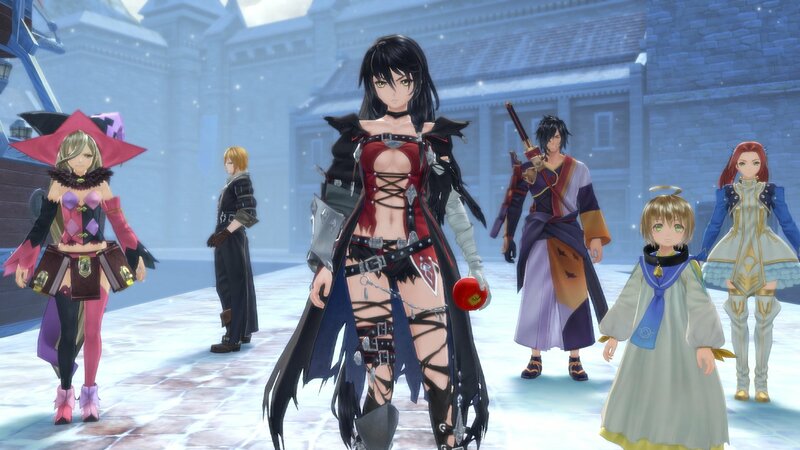 Tales of Berseria puts players primarily in the role of Velvet Crowe, a young woman emotionally and physically consumed with bloodlust and a literal hunger for vengeance. When her small peaceful village is attacked by otherworldly daemons (pronounced demons) in a calamity referred to as the Opening, Velvet is forced to grow up fast to take care of her sickly younger brother. However, seven years later Velvet witnesses her brother brutally killed by a man both of them trusted with their lives, losing all purpose. Imprisoned for three years and having turned into a daemon herself, Velvet sets out on a daunting journey to avenge her kin, gathering a band of pirates, slaves, witches and other daemons to aid her in her murderous quest. As a massive fan of the series, I’ve been a little burned out by the bright-eyed, plucky hero casts of the last few Tales games, but Berseria’s group of anti-heroes and the considerably darker plot is a real return to form. Velvet’s personal journey to kill the man who murdered her younger brother is an addictive driving force behind the 60+ hour main story, keeping things constantly on the move and exciting, but the likeable rogues who tag along nearly steal the show with their own personal motivations. Daemon samurai Rokurou owes a debt to Velvet and wants to settle old scores of his own, gruff pirate Eizen ‘the Reaper’ searches for his missing Captain and beats down anyone who gets in his way, both proving to be capable killers on the same page as the one-track Velvet. Meanwhile, devious witch-woman Magilou stirs up trouble with crazy theatrics and numerous puns, adding some much needed black comedy to an otherwise grim scenario. Eleanor and Laphicet round out the crew as moral foils, exposing the human side still left within the broken rag-tag group, keeping players from being against or repulsed by the hate-filled protagonists. The core gameplay of Tales of Berseria involves navigating the world of Midgand in third-person perspective, following a linear path through towns, cities, fields and dungeons towards Velvet’s main objective of extracting sweet vengeance. Players can talk to NPCs for additional lore or tasks, collect items in the field for crafting and currency, and explore secondary areas and dungeons for additional loot, side-quests and secrets. There’s also a number of mini-games scattered throughout the game to spice up the formula with fun distractions, which often unlock additional costumes to dress up your party members in. Enemies are encountered out in the field while exploring or during pivotal moments in the storyline, and if contact is made, the game transitions into a special battle zone where players engage enemies in combat using physical attacks and magical spells called Artes. When it’s time to fight, the franchise’s staple Linear Motion Battle System (LMBS) makes a return to provide fast and frantic real-time combat systems with an emphasis on maintaining combos using your preferred character’s Artes for maximum damage. There’s a ton of depth in each party member’s unique movesets for those who like to experiment – Velvet is head-on melee, Eizen is a brawler and Magilou a spellcaster – but newbies can easily fight their way through battles like a flashy old-school beat ‘em up with the difficulty on lower settings. I found fighting enemies and boss characters in Berseria to be one hell of a ride, but only at higher difficulties where genuine challenge is present and constant tactics are required to survive. The game’s new Soul Gauge mechanic acts as stamina and dictates how many attacks and combos your characters can inflict, keeping the pacing steady as to avoid spammy button-mashing. Careful resource management is required to gain more SG and avoid losing it, and inflicting status ailments or defeating foes is the surest way to success. Maintaining 100+ combos is fun, and experimenting with different combinations of Artes and powerful Mystic Artes (which can act as finishers or extremely powerful emergency attacks) has never been more engaging, and it feels like the Tales team has perfected their combat formula in Berseria. Tales of Berseria easily has the most interesting set of characters since Tales of Vesperia, but the natural chemistry conjured up between the core cast of six is strengthened by fantastic dialogue and voice-acting. The superior quality in the writing department is most evident in the series staple skits, animated clips which trigger outside of main cutscenes and have the characters interacting with each other, represented by detailed hand-drawn portraits. 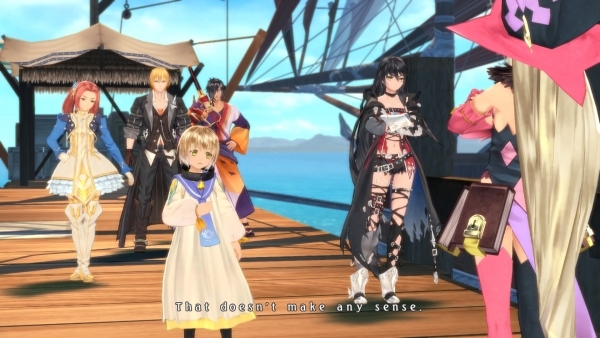 Fully voiced-acted in English and Japanese, the banter between the cast is often hilarious, heart-warming, melancholy and saddening, and with all-new animations to convey their body language and presence within each skit, Berseria’s team have perfected the format to the point that skits are almost as enjoyable to watch as the main cutscenes. The main story also proves to be one full of genuine twists and heart-wrenching developments that made me sympathise with Velvet and hate her enemies – which happens to include the saviour of the entire known world. 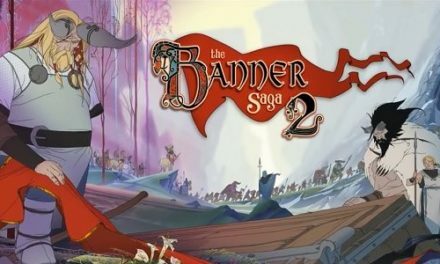 The world building of the very oppressive Holy Midgand Empire, its subtle ties to Tales of Zestiria (Berseria is a distant prequel) and the introductions of its various factions, races and conflicts is extremely well paced, owing to Berseria’s heavy focus on the core plot, with less emphasis on side quests than past entries. 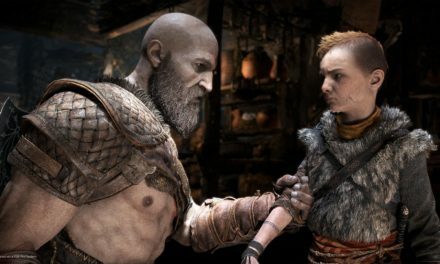 While I was afraid it would result in less content, I was happy to discover several hours in there was still a decent amount of side-activities to engage in, and the developer’s more focused approach has resulted in a stronger main story to enjoy. Past Tales games are infamous for their narrative bloat and excessive amounts of convoluted lore and terminology, but Berseria completely avoids these problems. Graphics-wise, it is clear Berseria is held back technically by its PlayStation 3 origins (it’s a PS3 and PS4 title in Japan) but the fantastic character designs and anime artstyle save its visual shortcomings from being a major disappointment. Some environmental textures are a bit blander and less detailed than I hoped for, but general performance is rock-solid and gameplay remains 60fps even during battles, when tons of special effects and animations take place every second. 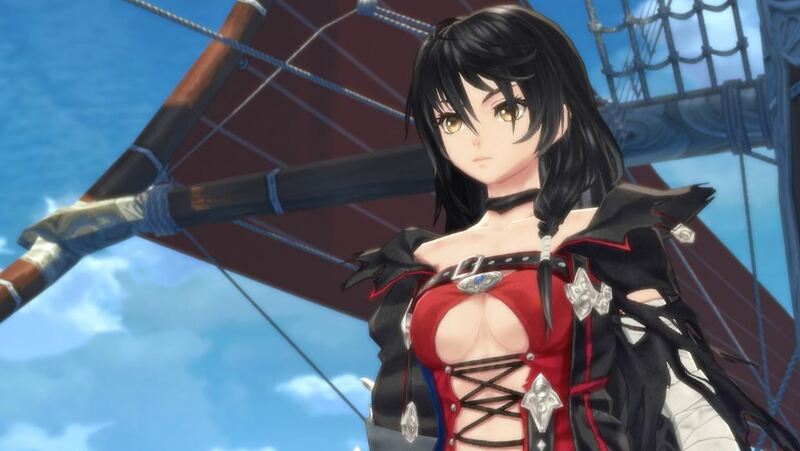 While my playthrough of Berseria proved to be one of my favourite JRPG experiences in the past few years, some disappointments linger on from past entries. 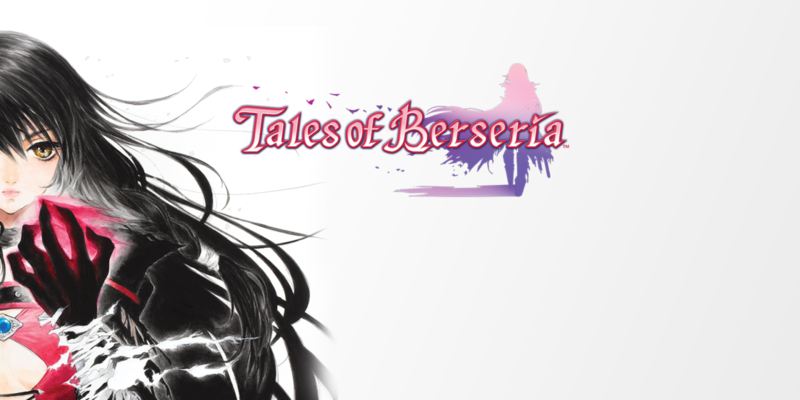 This is the fourth Tales game to continue the trend of progressing through semi-open areas rather than a world map like older titles in the series, and the design shift has unfortunately seen Berseria still plagued with bland generic environments and questionable dungeon design with a noticeable repeat of assets. There are dead-ends, empty unused spaces and dungeons filled with simplistic puzzles. Because the story dictates a lot of back-tracking, these flaws become more pronounced the further through a playthrough. The problem is not as pronounced as in Xillia or Zestiria, but it is perhaps the only key flaw of the overall package. Other minor problems, such as Namco’s baffling decision to not allow screenshots or gameplay recording using PS4’s share features, were annoying but not dealbreakers. Brooding anime characters filled with vengeance doesn’t exactly inspire confidence for a strong video game story experience, but Tales of Berseria roles with the classic murderous crusade scenario used in everything from film to television and twists it just enough to produce the best Tales game and narrative since 2008’s Tales of Vesperia, and one of the most engrossing action JRPGs released this generation overall.